Social Views - Provides an overview of the social view for videos shared to social media accounts. Covered in this topic. Start by selecting a time span for the report. To view the Social Views Analytics Report, click the Social Views tab at the top of the page. The Social Views graph will display the number of video views for the videos posted to your social media accounts for the time period selected. The Updated date is the latest date that Video Cloud has social analytics data for. Typically, there is a 24-48+ hour delay before social platforms update the views and engagement data in their APIs. Hovering over a line in the graph will display the data for that date. After a selection is made, the report will display the detailed data for each video. The bottom of the report has controls which let you select how many rows should be displayed and for navigating to other pages. Clicking the link for any of the video titles will display the social views analytics for the selected video. 1. When the Social module is used to publish a video to YouTube and then that video is embedded in a YouTube player on another site, will playback/engagement data still be gathered and passed in to the Social module analytics? 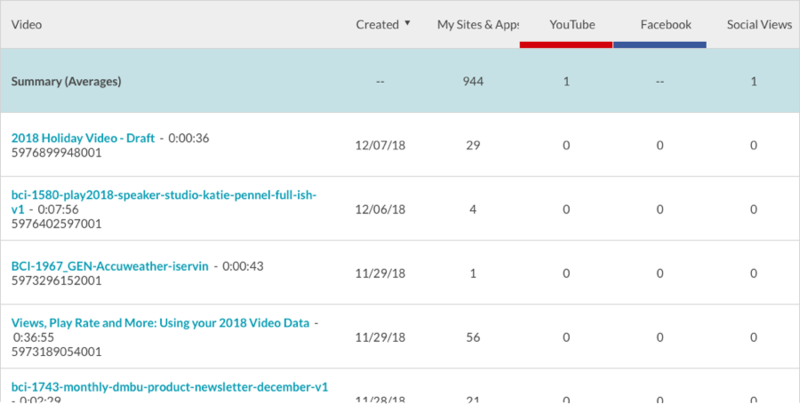 Social Analytics collects all view data reported by YouTube, as it appears in your Creator Studio and/or analytics pages on YouTube. 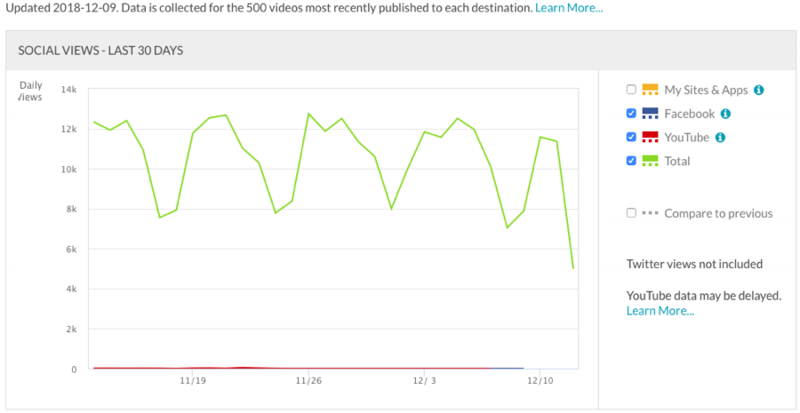 If the YouTube embedded player views count toward your analytics, the Social module will capture that and report it. Using the embed code YouTube's Share > Embed feature exactly as given causes views from that embedded player to count toward your analytics in YouTube. However, editing the embed code may cause YouTube to not collect views data, and in particular setting the embedded player to auto-play the video seems to cause YouTube to not count views from that player.